Pretty and professional looking. 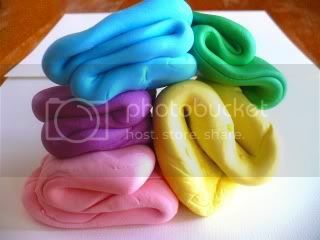 Wintr's advice for working with this typ of homemade fondant? 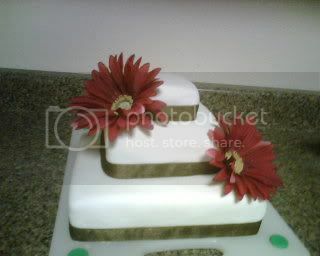 "If you have never worked with fondant before, it is best to experiment before doing a big project [like this] because it is harder than it seem. And ribbon and flowers are wonderful [for] cover[ing] any bloopers. I had a lot of fun with it [and] it actually tastes very good!"